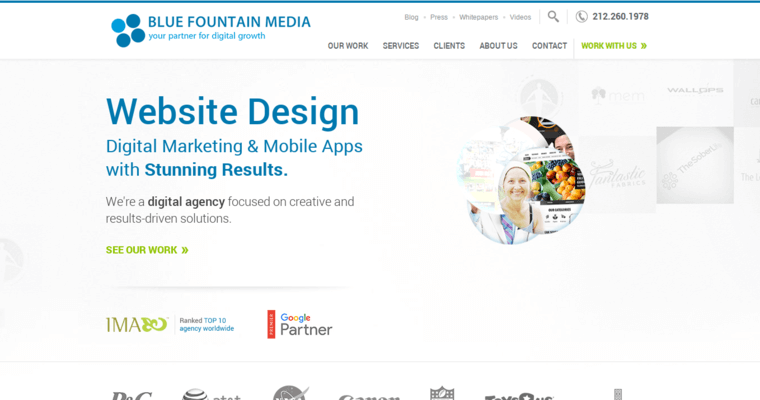 Since 2002, Blue Fountain Media has proven time and again that it has what it takes to run with the big dogs of web development. The company has amassed an impressive client list, working with some of the most important names in American commerce, both online and off. 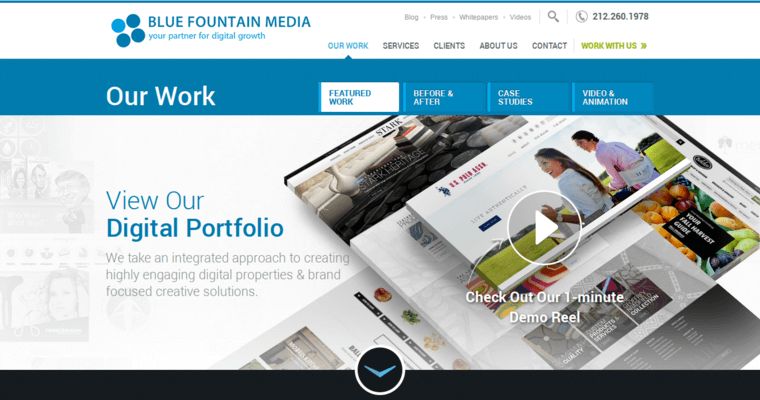 Blue Fountain Media employs more than 250 of the most expert and battle-proven tech staff. Among those is a coterie of among the most creative artists operating in the web design industry today. The firm's ability to create relevant, avant-garde designs that keep customers coming back while creating tremendous value for corporations is a largely a product of talented people wanting to work among others like themselves. 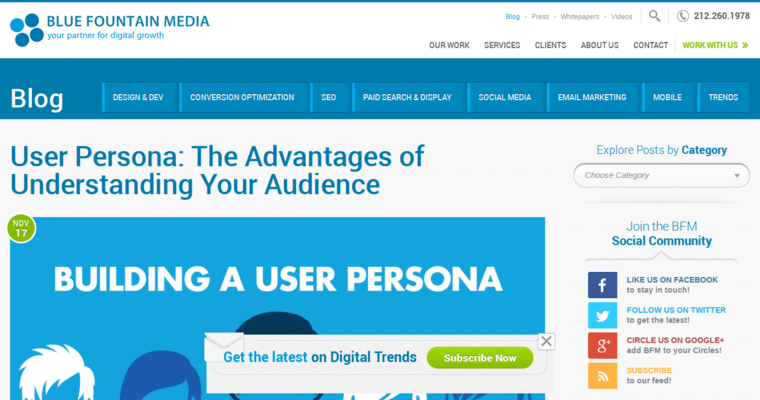 Few web design firms have been able to create such a desirable culture of moving the bar ever higher. Blue Fountain has worked with some of the biggest names in business. See what they can do for your company.